With [speakers] pumping into the early hours, this remote night spot has a very exclusive guest list: elusive sea birds only. National Trust rangers are going to extreme lengths to monitor storm petrels, setting up high-powered speakers to lure them in at night. A small team of passionate ornithologists at The Leas in South Tyneside will work into the early hours to coax the birds by transmitting their sound out to sea. Storm petrels, which don’t usually come inland in the daytime as they’re easily predated by gulls, are caught in mist nets before being ringed, recorded and set free again. Storm petrels spend the winter months off the coast of South West Africa and begin their long journey back to their UK breeding grounds in spring. Birds over the age of four are usually paired up and sitting on single eggs by early June. It is thought that the birds ringed on The Leas are under the age of four and spend the summer moving up and down the east coast, feeding rather than breeding. In 2015 National Trust Rangers and the Whitburn coastal conservation group carried out an intensive eight week survey of storm petrels. 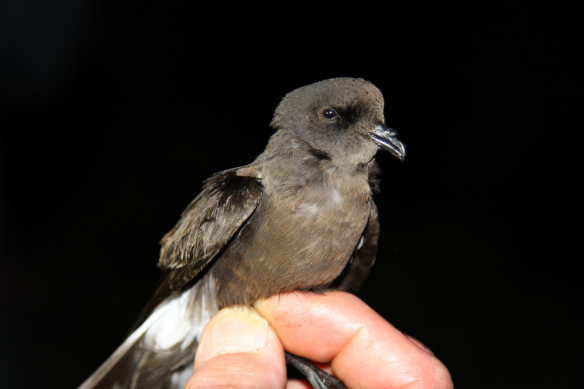 During that time they ringed 514 storm petrels and two rare Leach’s storm petrels. The Whitburn coastal conservation group has been monitoring storm petrels on The Leas for 15 years. During that time they recorded a visit from a bird in 2015 that was originally ringed off the coast of Portugal in 2004. They also ringed a bird in 2009 that was recorded on The Faroe Islands in 2010.